Just like I didn’t, a few years back, you may also not understand the usefulness of the sound recorder software, until you are in situations where it becomes a saving grace. I wouldn’t talk about some demanding situations, but I use audio recorders to record some of my ideas, some teachings and most importantly for transcription, but my biggest issue was I always forget to take my recording device along on some necessary occasions. Now imagine you have a class where recording audio of the lectures, might be so important, a business meeting or Skype calls with loved ones, even watching a YouTube video you need. So lame right? I don’t know about you, but I think it’s annoying and basic, I didn’t even know it existed until I searched and what I got was a one-click that would only let me start my recording and another click that stops the record. No option for settings or even to pause. But there are a lot of sound recording apps you can install on your PC that are efficient enough to make your recordings more fun. I’ve used a few, and with my experience with sound recorders, I would write on ten of them I consider to be the best sound recorder software. 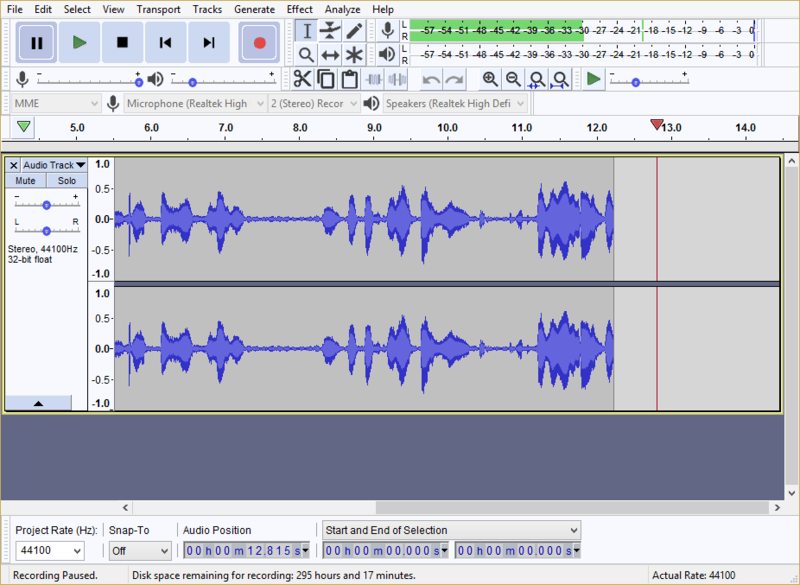 Sound Recorder Software vs. Audio Recorder Devices? Apart from being easy to use there are several other reasons, I would always decide on a sound recorder software installed on my PC rather than other audio recording devices. You would agree if you are under a budget and you also need an audio recorder, the sound recorder software gives you an option that would save the expenses of purchasing and maintaining an extra device. So the first reason I recommend a sound recorder software over a recording device is that it does the complete job of the audio recorder at lesser or no expense, rendering the need of recording devices insignificant. Another reason is that you wouldn’t need to carry around a device when you can have your audio recorded with your PC wherever you are and save in several formats. Who Should Use Sound Recorder Software? I began by downloading and installing the Sound Recorder Software. I clicked the “start” record button to tested them, know how they function when they capture audio, the limits to which they can record, and their importing and exporting abilities. These sound recording software are essential, and I recommend that everyone has at least one of them installed in your PC to help save time and increase your productivity. So I discuss with you about ten apps considered to be the best Sound Recorder Software. The first sound recorder software on this review would be Free Sound Recorder, as the name connotes, it is free. This app can effectively receive and record audios from DVD/CD players, SKYPE, Windows Media Player, online streaming and several others on your PC and also around your PC. You can export your audios in OGG, WAV, MP3 or WMA formats so no need to stress over converters. The Free Sound Software gives the option of creating schedules to record from your specific source automatically. You can select the time you want the record to begin and also its end; it can be scheduled for a onetime, a daily or a weekly log. Saves quality audios in your desired format. Of course, I recommend the Free Sound Software requires no complicated technique for its usage, all you do is select the source of your record, the quality you want and start recording. You don’t need any experience on recorders to use this app. It suggests, according to your memory disk the suited format to save your audio recordings. 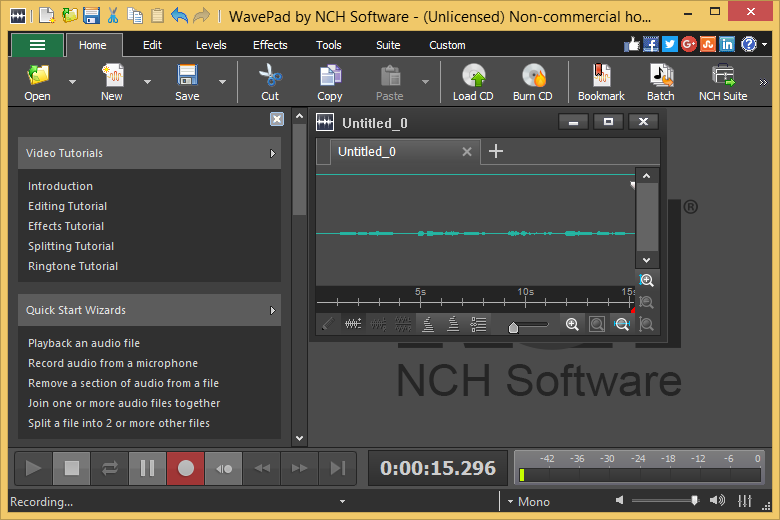 Another good sound recorder software is the WavePad. The WavPad is also easy to use and saves audio files in WAV, AMR, APE, MP3 and MPC formats. When you choose the WavePad, you get records of quality sounds that encourages a smooth workflow. You can also organize the toolbar by removing or adding features you need; the WavePad comes with several effects and filters so you can choose your convenience. 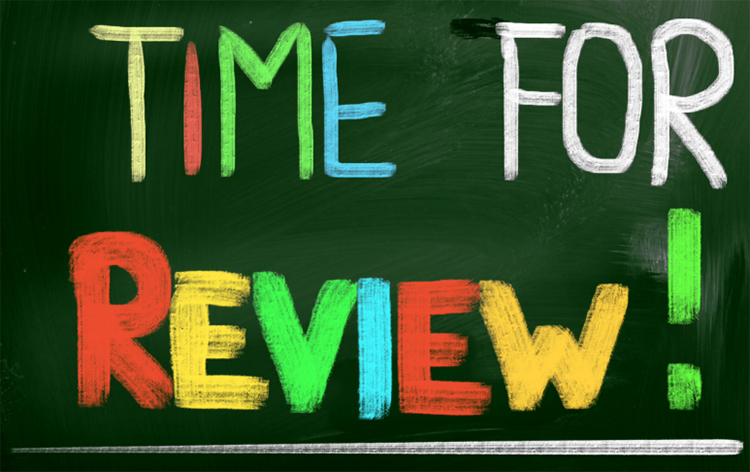 Yes, I recommend! The quality that intrigues me about the WavePad is the interface, the features are accessible and using them wouldn’t affect the recording ability. The toolbar is customizable. The Mixcraft is built with several loops, filters, effects and digital instrument that can make your recording fun. Its versatility makes it a real valuable recorder. 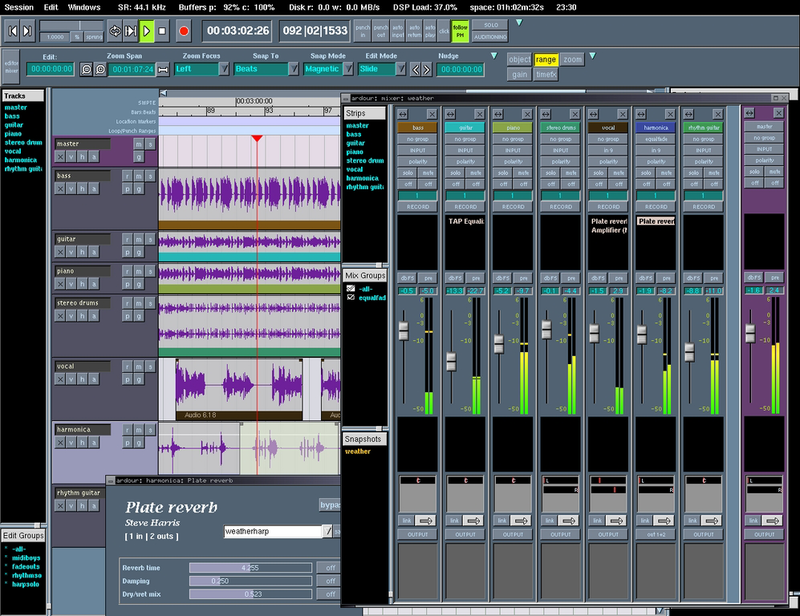 Although unlike the other sound recorder software, the interface of the Mixcraft 8 looks like an audio workstation. So if you don’t have any sound recording experience, you may prefer another recording software because the Mixcraft 8 may intimidate you. I don’t recommend the Mixcraft 8 for a beginner. If you use Mac OS, it won’t work for you. Even though it has an intimidating workstation interface, with a few experiences, you would figure out the cool features of this software like how to record, edit and also enhance the sound. The Audacity Sound Recorder Software is open-sourced and free, and it is famously known for it’s recording and mixing efficiency. You can make several adjustments on the advanced effects settings and create multitrack records. It supports both Windows and Mac OS; it also has a simple and understandable interface that helps novices have a cool recording experience. It holds the essential features and controls. 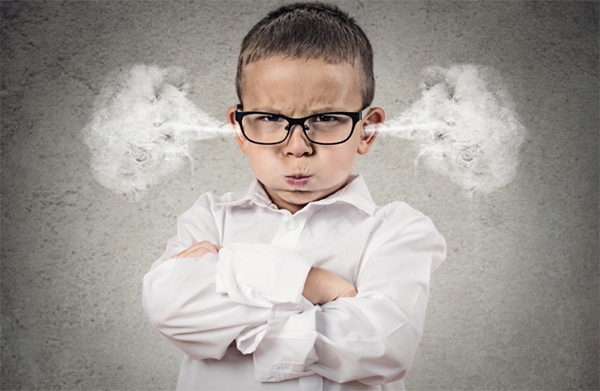 Being a viral software, you can source for tutorials and manuals from several user forums if the information from their official website does not satisfy you. The reason I recommend the Audacity Sound Recorder Software is that, when you need a function that is not readily available to you, you can download and install plugins to extend its usage. For example, I couldn’t export audio in Mp3 format until I install an Mp3 Encoder. Podium by Zynewave is a modern music production host that supports audio recording, VST plugins, ReWire and external MIDI and audio gear. 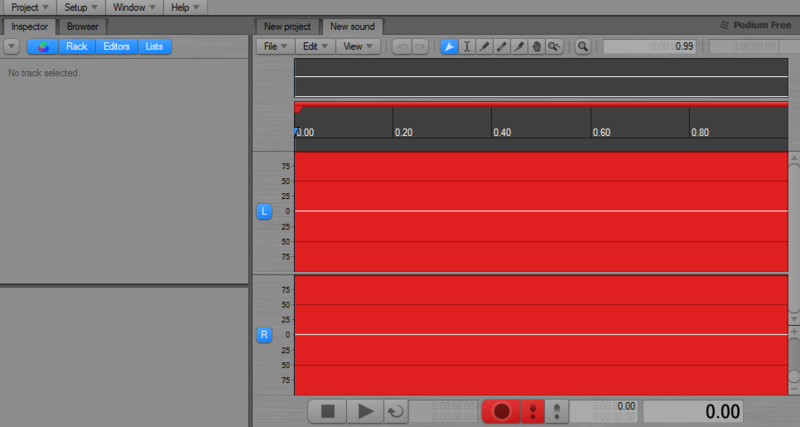 You can easily record your audio on this software and also integrate your generated digital audio. In case you are not interested in coughing up so much money for an audio workstation, there is also a free fully functional version available with only a few restrictions. I found the Zynewave Podium Sound recorder software very easy to use after just a few hours. What I discovered after getting accustomed to the application is an interface that excels as regarding customization. 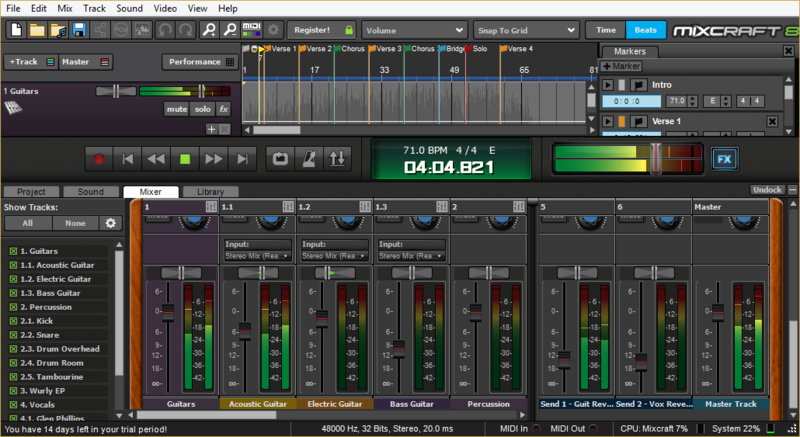 It also offers a suite of effects and other features on par with more expensive audio software. Ardour is a very versatile digital audio workstation; it provides so many features that would be almost impossible to present them in a review. 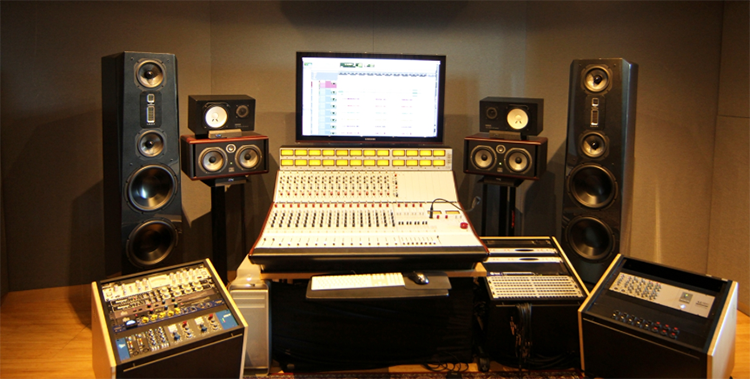 It can be used for recording, mixing, and even live performances. Ardour sound recorder software is open source, so it can be downloaded and modified without restriction, or you can choose to pay so little for the ready-to-run version. I don’t recommend the Ardour recorder software if you are a beginner, maybe with a little more experience with the application, you may find it easy to use. Virtual DJ a popular software. It records and has other features including mixers, media players, controllers and DVS boxes. It is compatible with a lot of devices. 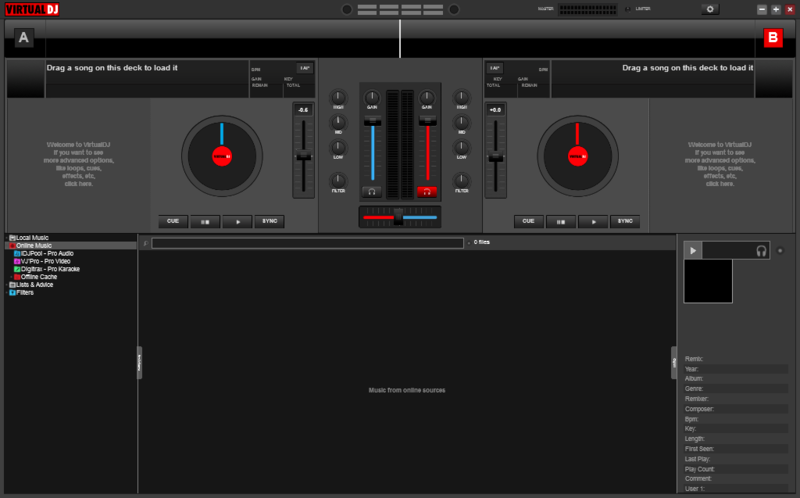 It has a customizable graphics interface which can be changed by downloading new skins from the virtual DJ community. Add-ons can also be downloaded from the virtual DJ community instead of online stores. No! The virtual DJ may be suitable for sound recording, but its primary purpose is still for mixing audios. Another reason is the complicated interface. 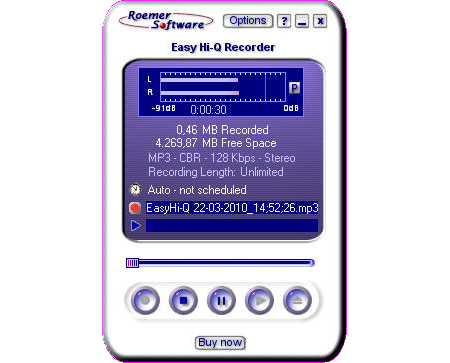 Easy HI-Q Recorder, as the name suggests, presents you with a straightforward and secure means of recording absolutely any sound in real-time. 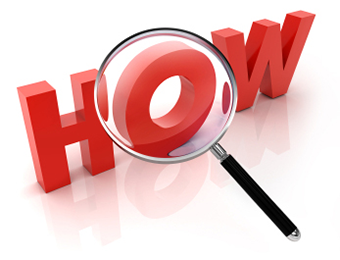 The centralized recording options window, with its instructional pop-ups, make the application very easy to navigate. It comes packed and fully-loaded with several high-quality features such as multiple audio-in options, recording timer, and scheduler, and voice-activated recording features guaranteed to please even the most seasoned users of recording and audio apps. 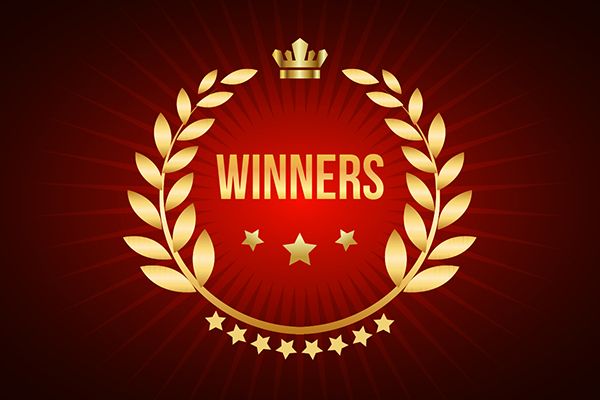 If what you need is a sound recorder software that records audio, then Easy HI-Q Recorder is the perfect audio recorder for you. Its simple interface makes it ideal for beginners, and its wide range of settings make it just as appealing to professionals as well. When it comes to recording sounds, the RecordPad has an outstanding performance. There are some other applications made by the producer of this sound recorder software that you may like to install to utilize its full capabilities. The RecordPad supports audio input from several sources, from sounds around your computers to online streaming, it can also capture audios playbacks from your PC. It features some pretty cool effects and filters and has a customizable interface. Yes! I recommend, but I think a significant disadvantage is that you can only save your audio files in MP3, FLAC AND WAV format, apart from this, it is still a useful software that allows you to set times for future recording. 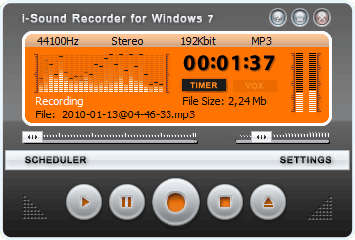 The i-Sound recorder can also record audios from both internal and external sources into formats like MP3, OGG, WMA, WAV, and APE, but it lacks compatibility with MIDI, M4A, and AAC. Sorry Mac OS users! 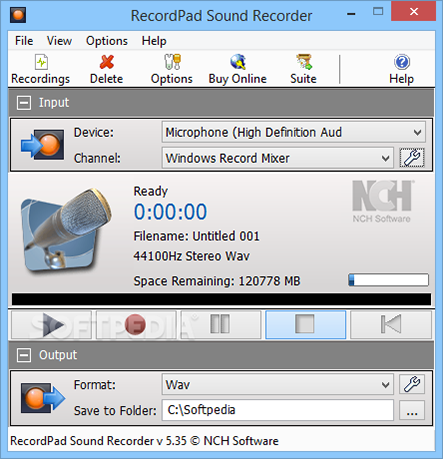 This sound recorder software works for only windows OS. With i-Sound, you get offers of some unique functions like the real-time audio compression, advanced recording scheduler and a voice-activated recording function. The program does not require the Wave Out Mix or Stereo Mix function to make records. Record at any predefined time. I recommend i-Sound Recorder! It has a simple interface, and it is moderately easy to use. It features an advanced recording scheduler where you can repeat occurrences and make multiple scheduled event possible using their names. As we conclude, you would agree with me that audio recorders are important accessories, as they function to save long notes. They are not only needed when we want to make records but also when we need to use these recordings. 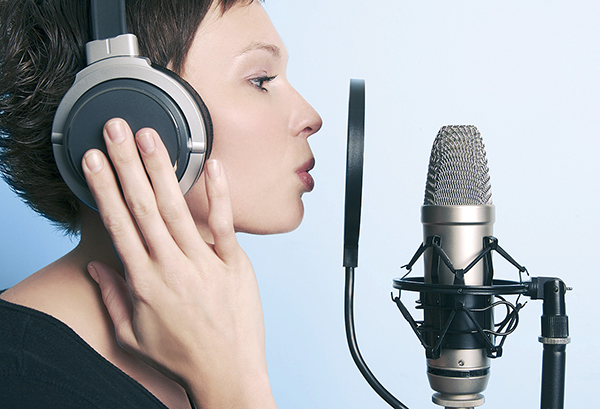 So equip yourself with the Best Sound Recording Software and make better records. 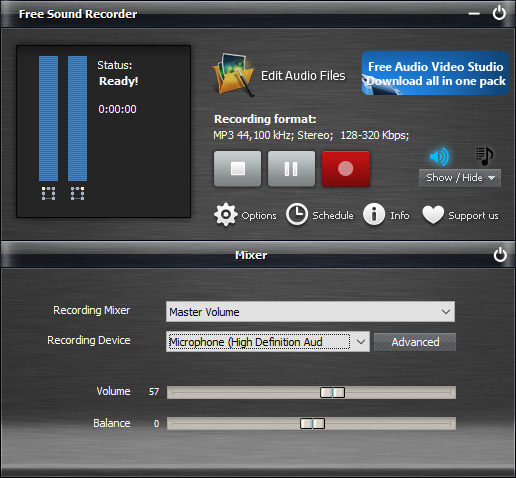 Best Free Sound Recorder Software? Of course with Free Sound Recorder you are guaranteed, there is no trials or limitation. Best Overall Sound Recorder Software? WavePad’s most features aim towards capturing sounds excellently. Best Value Sound Recorder Software? Your best bet would be Mixcraft; it offers several loops and sound effects.